President Maithripala Sirisena has informed the Constitutional Council (CC) of his acceptance of the resignation of former Speaker Chamal Rajapaksa from the CC. The official communication of the President was informed to the CC members when they met at the Parliamentary complex yesterday. 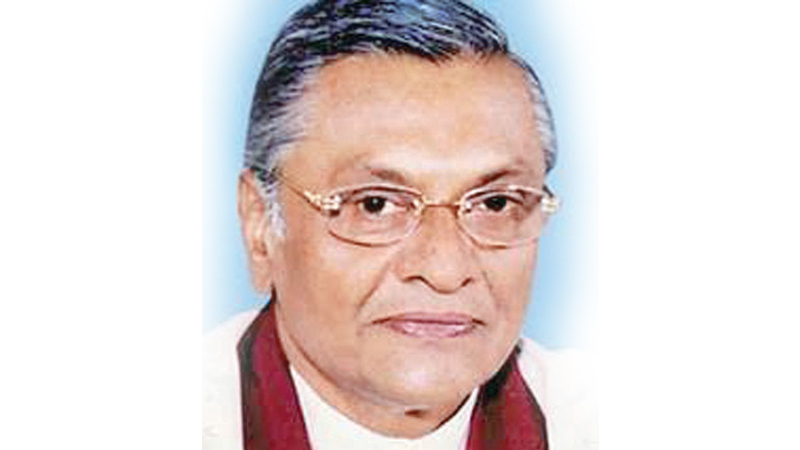 Former Speaker Chamal Rajapaksa was appointed to the CC in October 2018 with the agreement between Prime Minister Ranil Wickremesinghe and then Opposition Leader R.Sampanthan. He sent his resignation to the President in January after former President Mahinda Rajapaksa became the Opposition Leader and thereby an ex-officio member of the CC. With the President’s acceptance of former Speaker Rajapaksa’s resignation, Prime Minister Wickremesinghe and Opposition Leader Mahinda Rajapaksa together have to nominate an MP to fill the vacancy. The CC chaired by Speaker Karu Jayasuriya will meet again on Saturday. Justice Minister Thalatha Athukorala, UPFA MP Mahinda Samarasinghe and JVP MP Bimal Rathnayake are other political representatives in the CC. Dr. Jayantha Dhanapala, Ahmad Javid Yusuf and Naganathan Selvakkumaran are the three civil society representatives of the CC.